EA is on a roll right now with the just-released and still exploding Apex Legends from Titanfall developer Respawn Entertainment, with the new free-to-play battle royale shooter to be joined in its ranks at EA with Star Wars Jedi: Fallen Order later this year, and some surprises. During EA's recent financial results call for its third fiscal quarter 2018, that a new Need for Speed game in development. We can expect that Ghost Games will once again get knuckles deep in coding the new game, which we should expect to roll out with the EA DICE graphics engine, Frostbite. Frostbite might have started out powering Battlefield games, but now that EA owns DICE we are seeing Frostbite powering countless games. EA COO and CFO Blake Jorgensen explained: "FIFA stands out as a robust franchise through a tumultuous year in the video game industry. Elsewhere in the business, we're making adjustments to improve execution and we're refocusing R&D. Looking forward, we're delighted to launch Anthem, our new IP, to grow Apex Legends and related Titanfall experiences, to deliver new Plants vs. Zombies and Need for Speed titles, and to add Star Wars Jedi: Fallen Order to our sports titles in the fall". We now know that EA is working on a new Plants vs. Zombies game, Star Wars Jedi: Fallen Order, new Titanfall experiences, and now a new Need for Speed game. 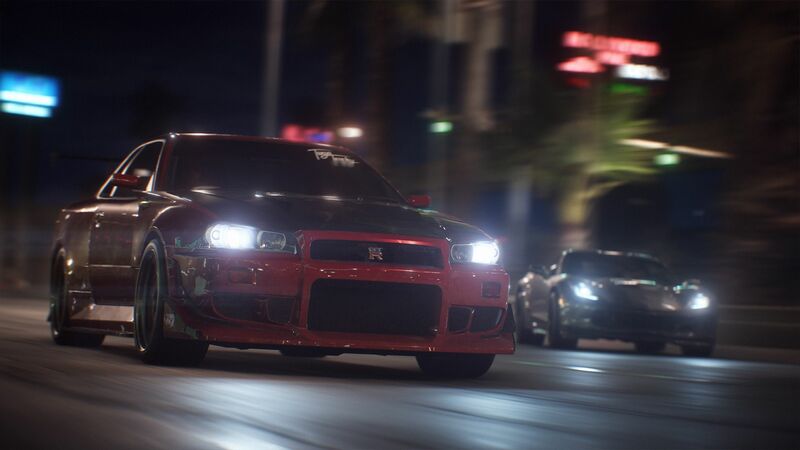 We'll keep you updated on details on the next-gen Need for Speed game as it happens.